Toyota is in the news this week with a worldwide recall of 1.9 million Prius vehicles as well as 295,000 trucks and sport utility vehicles for two separate software problems. 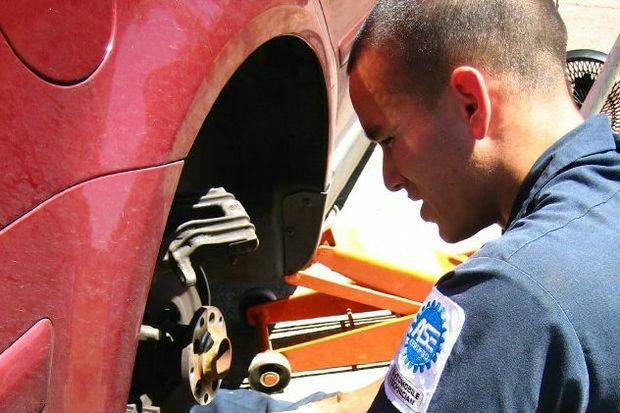 The Automobile Club of Southern California reminds motorists that they need to be watchful to make sure their vehicle gets needed repairs if a recall or service bulletin is issued. Auto manufacturers recalled almost 22 million cars last year, according to the National Highway Transportation Safety Administration. Owners who move should notify the vehicle manufacturer by using the post card many provide in the warranty booklet or by giving the dealer the new address so notices and other information can be sent to the new home, Mazor added. How should consumers determine if a safety recall or a technical service bulletin has been issued for their car or truck? NHTSA today announced new tools designed to help consumers with recalls. Starting Feb. 18, all manufacturers must use a distinctive label on required mailings that notify owners of recalled vehicles or equipment. The requirement was introduced to help owners quickly distinguish important recall notices arriving in their mailboxes from other correspondence and avoid mistakenly discarding critical safety notices, according to NHTSA. NHTSA also launched an app for Android devices that will provide users free access to key safety information, including recalls and safety performance. The new Android SaferCar app, which joins the iOS app for the iPhone, iPad and iPod Touch released last year, helps consumers find recall information and up-to-date vehicle safety information, search the agency’s 5-Star Safety Ratings for vehicles by make and model, and subscribe to automatic notices about vehicle recalls, among other features. The app makes it simple to submit complaints to NHTSA regarding possible safety problems with a particular vehicle. App users receive important news and information from NHTSA on tire and child seat recalls as well. According to Mazor, using the vehicle’s make, model, and year, along with the Vehicle Identification Number (VIN), consumers also may go to safercar.gov and start at the right hand side of the home page under “Safety Recalls” and follow the prompts until asked to enter your vehicle information to find out if a recall has been announced for your car or truck. Safety recalls are paid by the manufacturer, regardless of warranty considerations, he said, and manufacturers may voluntarily issue their own safety recalls after notifying NHTSA as Toyota has recently done for the Prius sold from 2010 to 2014, he added. What is a technical service bulletin? These are recommended repairs to correct specific vehicle problems if consumers complain about them when they visit their dealer. If you learn about these repairs, you can take the car or truck to the dealer and have repairs made while the vehicle is still under warranty to cover the repair costs, said Mazor.